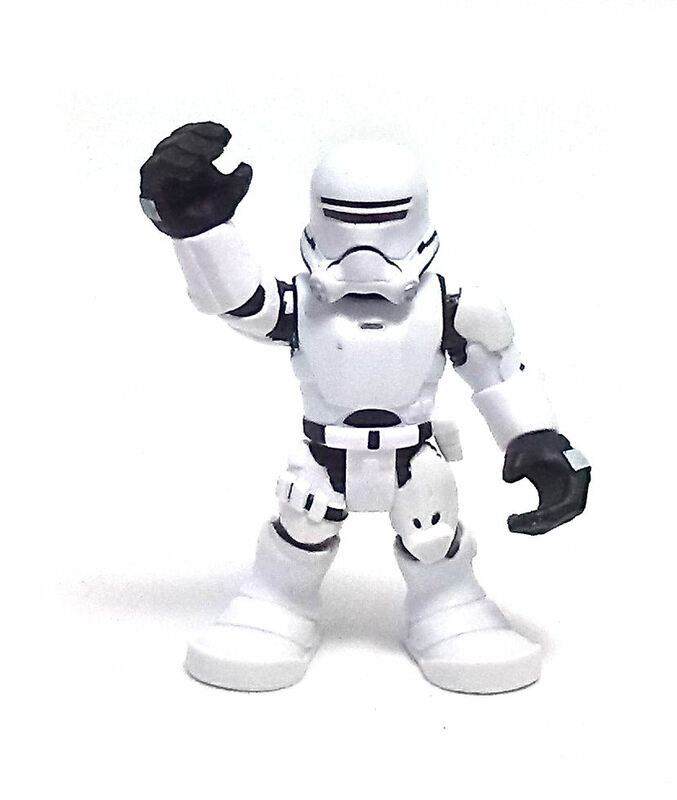 It took almost a year before seeing any Episode VII characters made in this line, so it struck me as odd that they’d go with a character such as the Flametrooper for the singles assortment, but I do think his design ports quite nicely into this format. 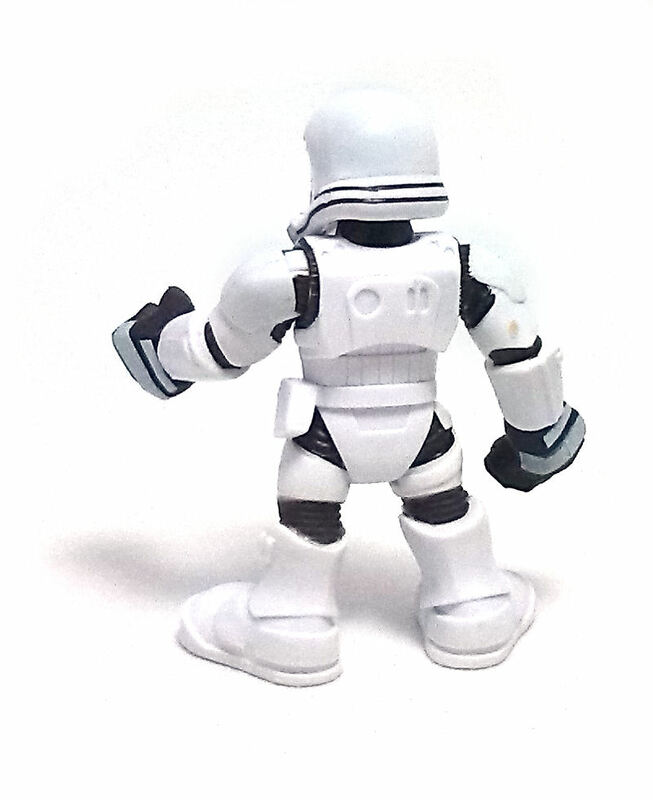 Of course, both legs are molded as a single piece but both hands are sculpted empty, which is a fairly uncommon trait in this line, although it makes sense considering that this Flametrooper comes with a separate weapon. 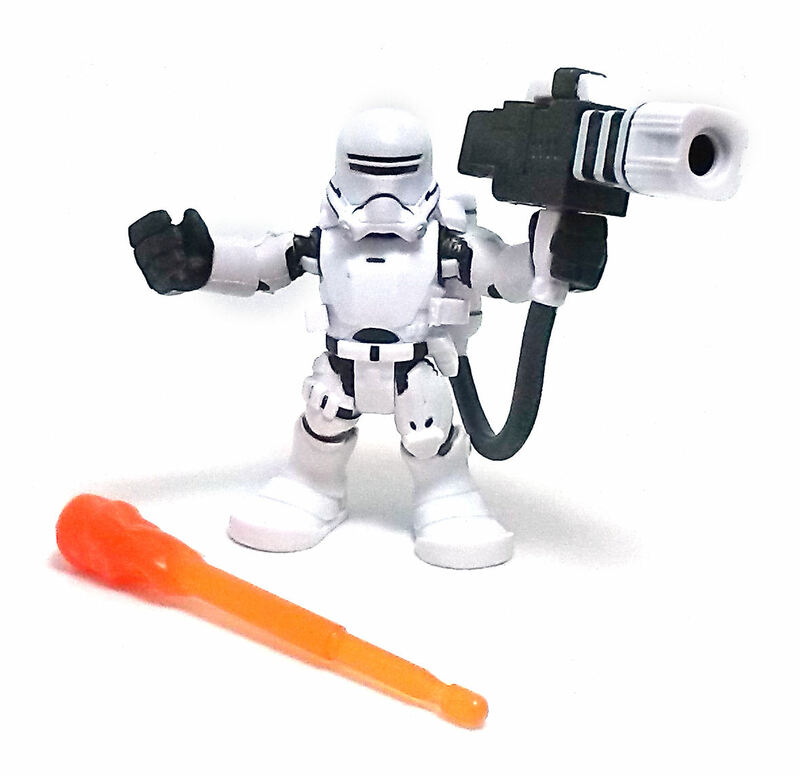 The action feature for this toy is actually built into the flamethrower, it being a spring-loaded launcher that fires a bolt of “flame” at the press of a button. 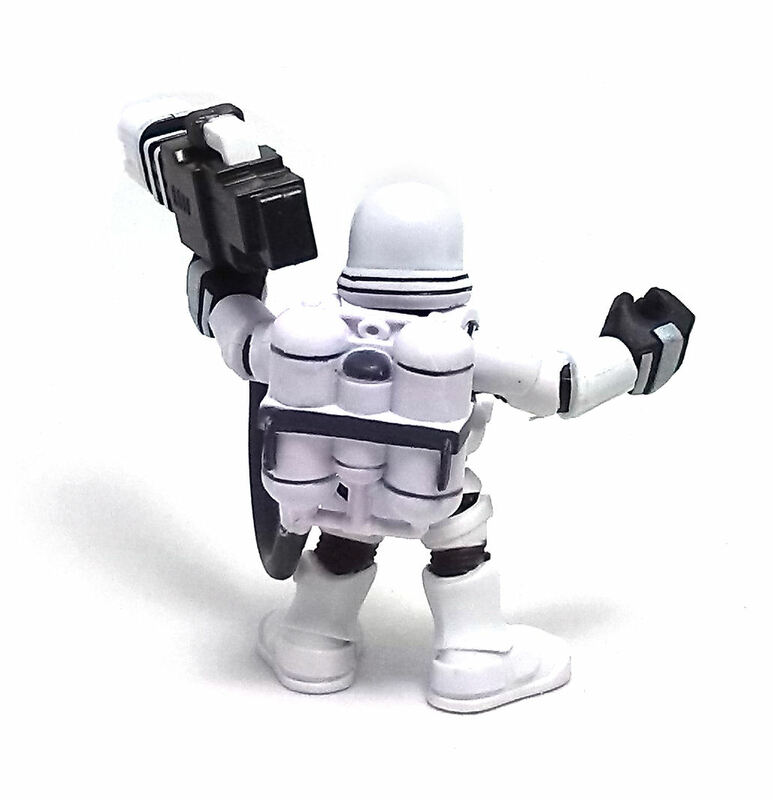 The body of the weapon swivels freely at the grip, which is connected to the backpack canisters with a fairly thick hose. The length of the hose dictates that the weapon should always be held in the left hand. 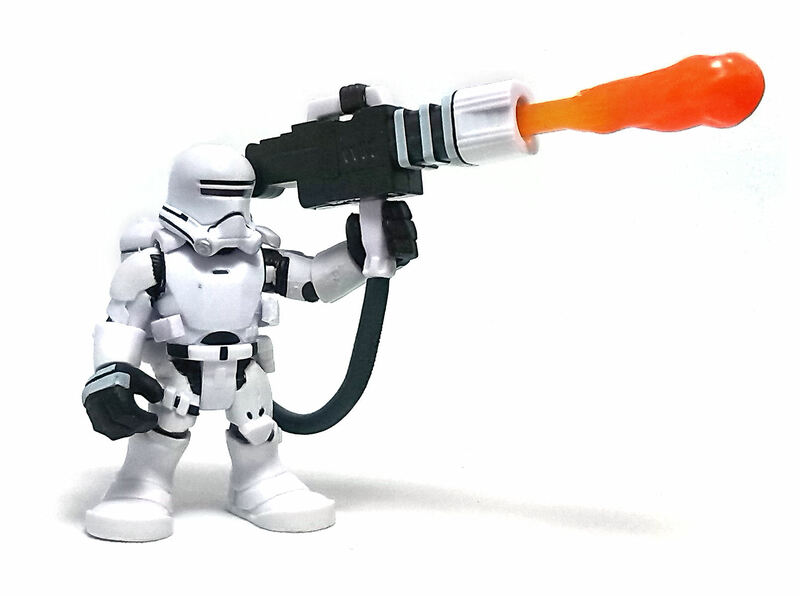 The backpack itself can be clipped to the Flametrooper’s back and is heavy enough to help the figure stand while brandishing the weapon. The paint job on this Flametrooper is quite neat, but limited to black accents representing the more flexible bits of the uniform and a few thin lines on the armor and accessories. 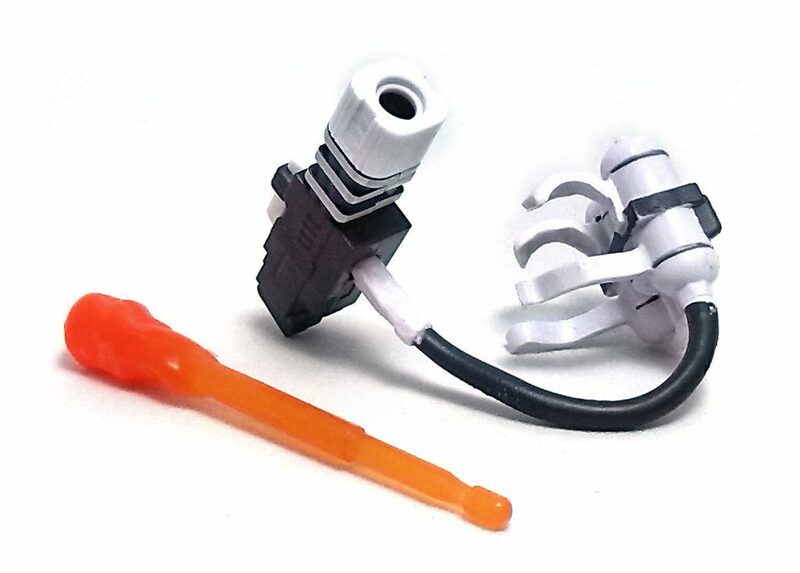 The flame bolt is made from translucent orange/red plastic with a subtle gradient. 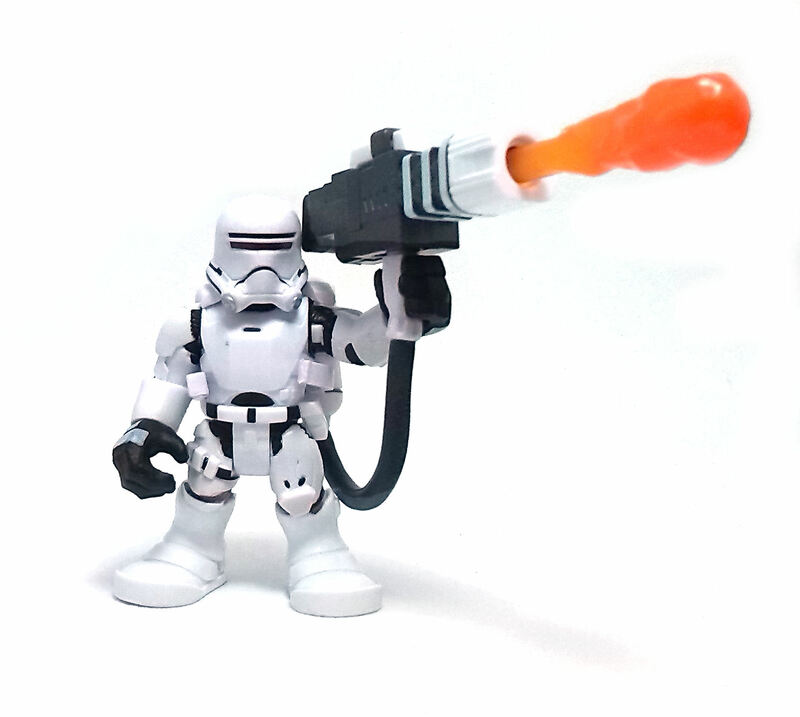 While this version of the Flametrooper may not be everybody’s cup of tea, I find it really quirky and fun.